The Lateral Log measures the formation resistivity beyond the invaded zone by use of widely spaced electrodes. The lateral is a deep looking device and gives best results in beds whose thickness exceeds twice the electrode spacing. Its efficiency is poor in highly resistive rocks. The Lateral device consists of three effective electrodes actually present in the borehole. In one configuration, the potential measuring electrodes, M and N are positioned below the current electrode A. This configuration is referred to as the AMN configuration. 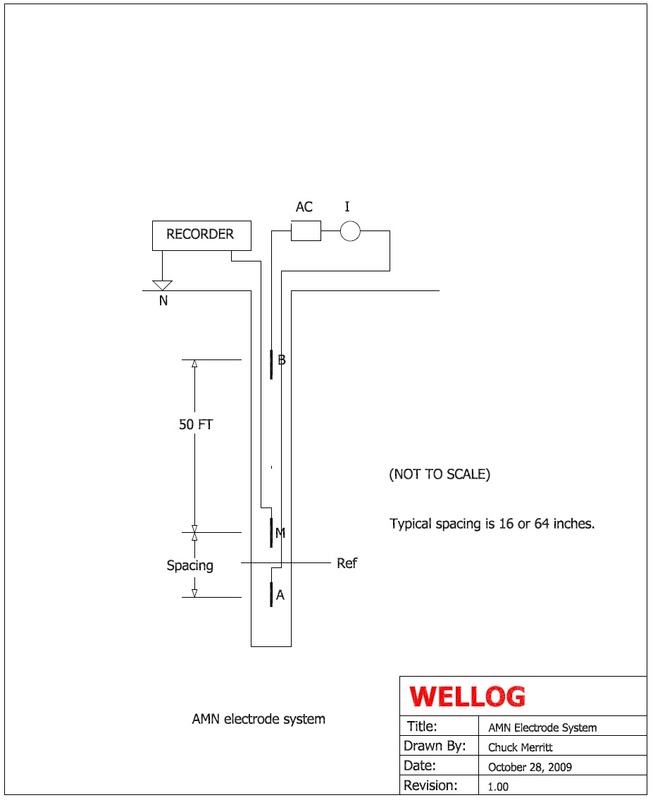 The electrode spacing on the lateral device is measured from current electrode A to the midpoint between electrodes M and N. This distance is called the AO spacing and has been standardized at 18 feet 8 inches. One exception is the use of a standard e-log sonde configured to produce a 64 inch lateral. The geometric factor (G) for the lateral device is equal to 4 x p x (AO)2 x MN, where AO and MN are in meters. The primary objective of the lateral device is to measure true formation resistivity beyond the invaded zone by using a electrode spacing large enough to insure that the invaded zone has little or no effect on the response. The lateral device has its best response in beds that are twice as thick as the AO spacing and where the thick bed has contrasting beds above and below that are at least 1 AO space thick. Very salty muds and changes in borehole diameter affect the lateral device response. Correction curves are used to adjust for errors caused by these effects. 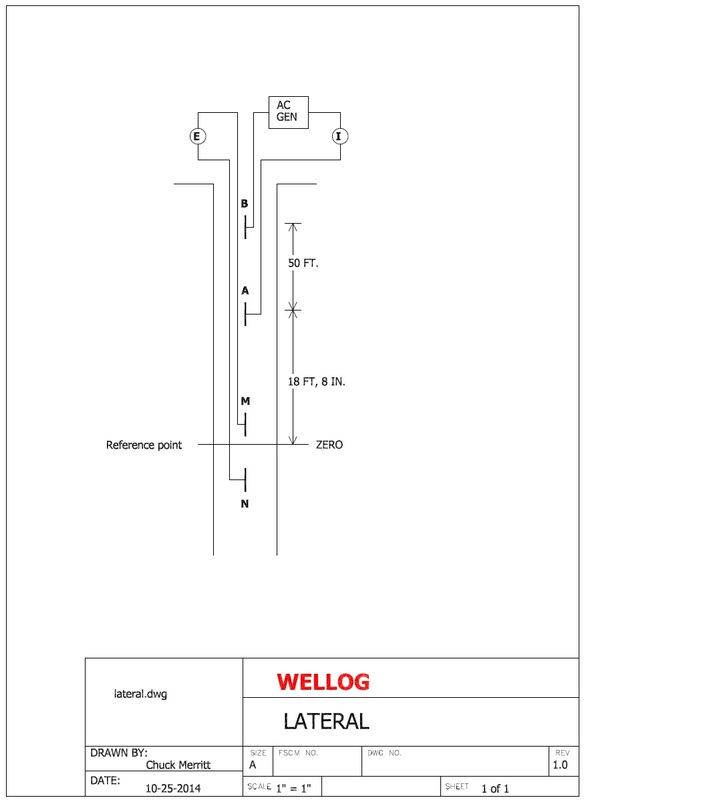 Other lateral device electrode configurations are possible and are sometimes seen. One configuration is called the MAB electrode configuration.